We Sydneysiders are ridiculously lucky to live in a city with so many stunning beaches and hikes just a bus or train ride away. Campsites, however, I’ve found to be more of a challenge to come by without the luxury of a car. 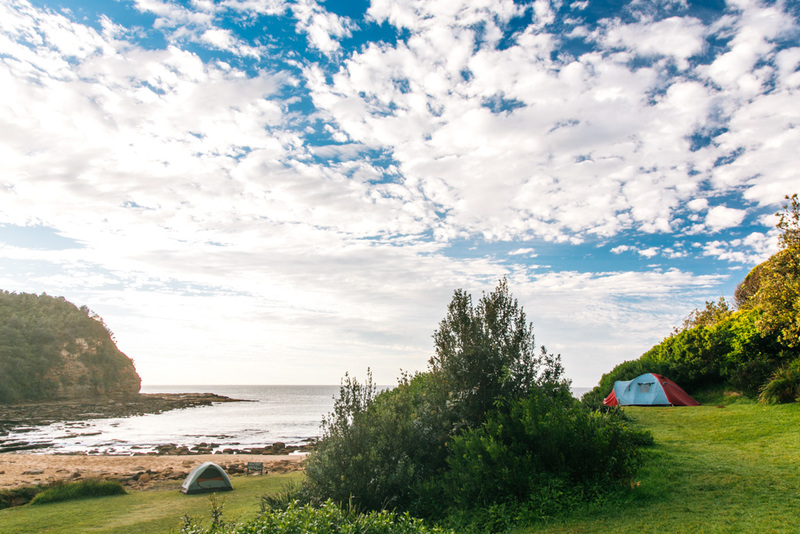 Worry not, though – there are indeed a handful of campsites that are accessible from Sydney by public transport that make for excellent weekend getaways. The campsites I’ve included in this post all have hiking trails and other outdoor activities nearby. They’re spots you can keep coming back to when you need a heavy hit of nature coupled with adventure. If golden sand beaches and coastal walks set your soul on fire, I highly recommend trekking up to Bouddi National Park at the southern end of the Central Coast and camping at one of the beaches up there. 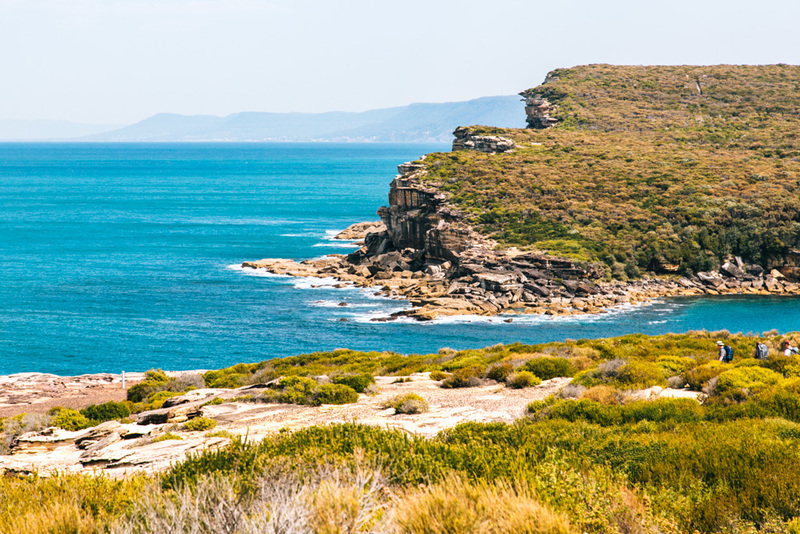 The best thing you can do is spend a day hiking the Bouddi Coastal Walk, which runs along 8.5km of glorious Aussie coastline and offers fetching views out toward the Barrenjoey Headland (where Palm Beach is located). You can easily finish it in 4 hours, but trust me: you’ll want a full day for it so you can stop off at some of the beaches along the way. Odds are pretty good you’ll have one all to yourself! If you have more time to enjoy the park, you could also snorkel at Maitland Bay or go for a paddle at Hardy’s Bay near Killcare Marina. 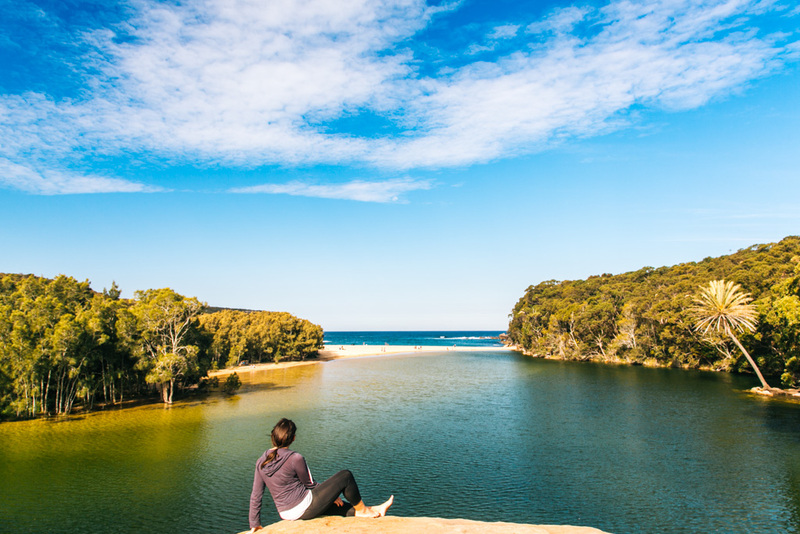 Getting to Bouddi National Park: It’s a bit of a mission to reach the park by public transport, but definitely doable – just allow 3-4 hours for the full haul and make sure you time your trip with the train and bus connections. From Woy Woy to Little Beach, take the 64 to the 65 bus, get off near Namatjira Drive and then walk 25 minutes to the campground. From Woy Woy to Putty Beach, take the 59 bus, get off near Beach Drive and then walk 10 minutes to the campground. 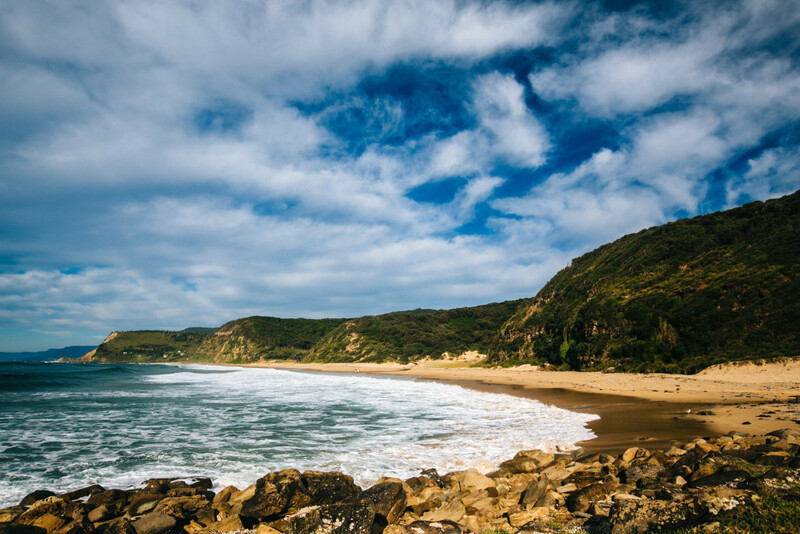 From Woy Woy to Tallow Beach, take the 59 bus, get off near Oroo Street and then walk 35 minutes to the campground (alternatively, you can take the bus to Palm Beach, get the ferry to Wagstaffe Wharf, and walk 40 minutes to the campround). Just north of Sydney sits Ku-ring-gai National Park, an absolute haven for bushwalking. Here, some of the estuaries of the nearby Hawkesbury River cut through the park and deliver some seriously stunning views and beaches amidst all the green. 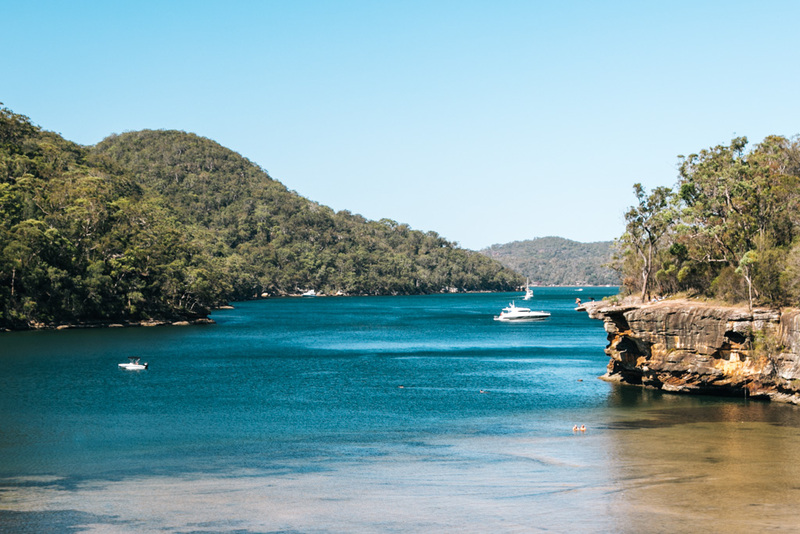 Ku-ring-gai is best explored by car or boat, but it does have a few hikes and a campsite that are reachable by public transport. 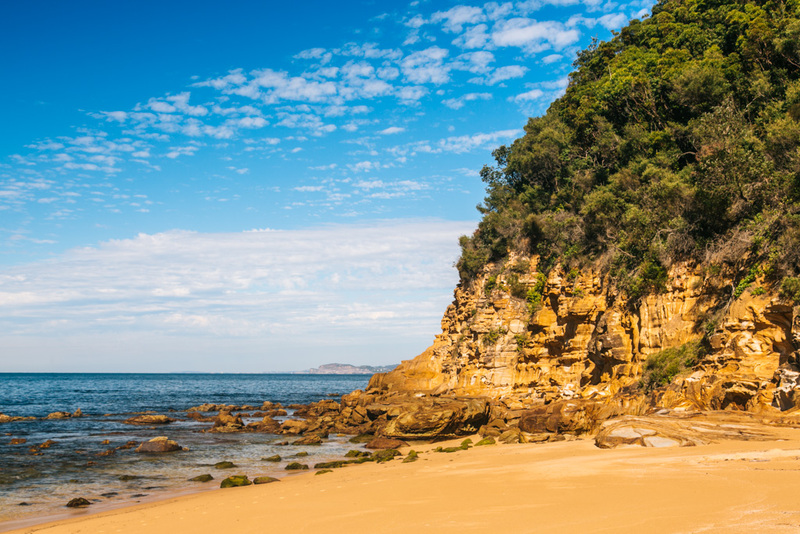 You can take a ferry over to The Basin Campground on the Pittwater foreshore – it’s actually the only place where camping is allowed in the national park. The Basin is a top spot for stand-up paddle boarding and kayaking. 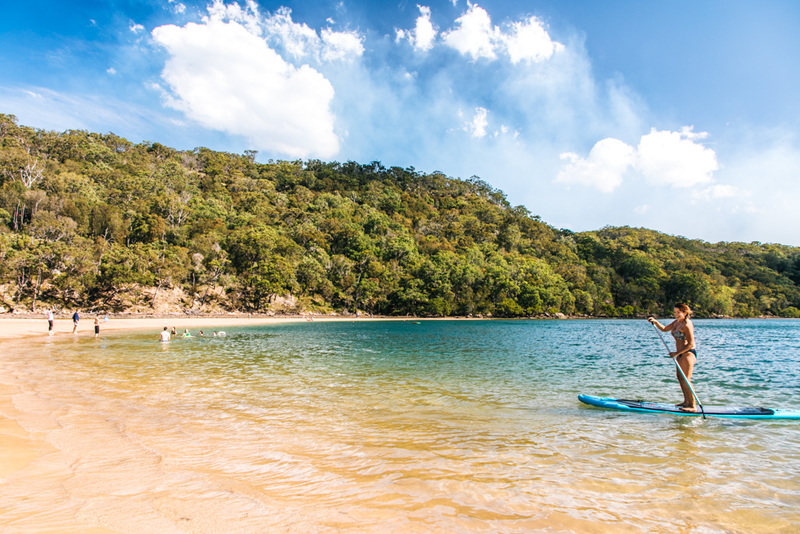 You can paddle around the lagoon just next to the campground or venture out to nearby beaches around Pittwater. EcoTreasures rents out boards and kayaks for $25/hour – they’re right by the campground. Eager to explore on foot? There are a couple of hikes you can do around The Basin (see this map). The Basin Track & Mackeral Track are easily accessible from the campground and boast epic views and aboriginal rock art. It should take you 2-3 hours to hike both tracks. Getting to The Basin: Take the bus from Wynyard to Palm Beach, then the ferry over to The Basin (about 2-3 hours in total). Camping at The Basin: Campsites at The Basin Campground are $34 for 2 people, plus $17 per extra person. Alternatively, you could book a bed at YHA Pittwater if you’re not up for roughing it in a tent. 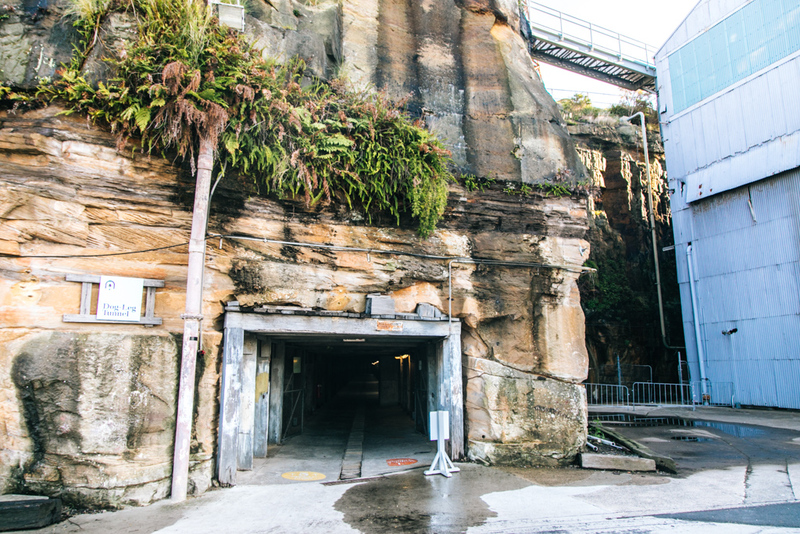 If you’d rather opt for convenience over nature, a Cockatoo Island camping trip is your best bet. 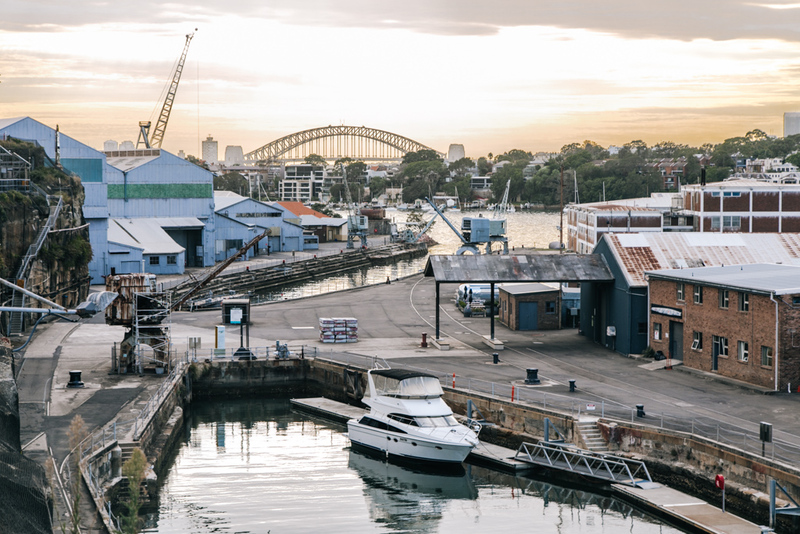 A 20-30 minute ferry ride from Circular Quay will deposit you at this former convict colony-turned-UNESCO World Heritage Site. Though it isn’t exactly conventional camping amongst the trees, you’re able to pitch your tent right on the water and wake up to sunrise over Sydney Harbour, which is pretty dang special. Instead of going of a hike, go for a wander around the island and explore the old convict buildings, take a self-guided historical tour, or enjoy the harbour views from all around. Getting to Cockatoo Island: Take the ferry from Circular Quay (20-30 minutes). 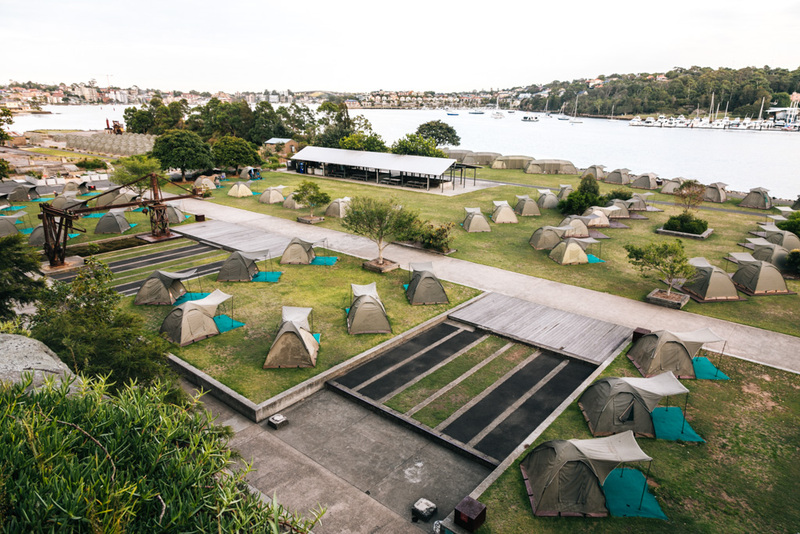 Camping on Cockatoo Island: Bring your own tent and book a campsite for $45/night (max 4 people per site), reserve a campsite with a perma-tent for $89/night (sleeps 2 people), or go glamping for $130/night (sleeps 2 people). The Blue Mountains are surprisingly very accessible by public transport from Sydney. Take the train to no less than 6 of the train stations in the region and you’ll have plenty of nearby hikes at your disposal. (Campgrounds in the Blue Mountains, however, aren’t quite so easy to reach without a car… more on that below). 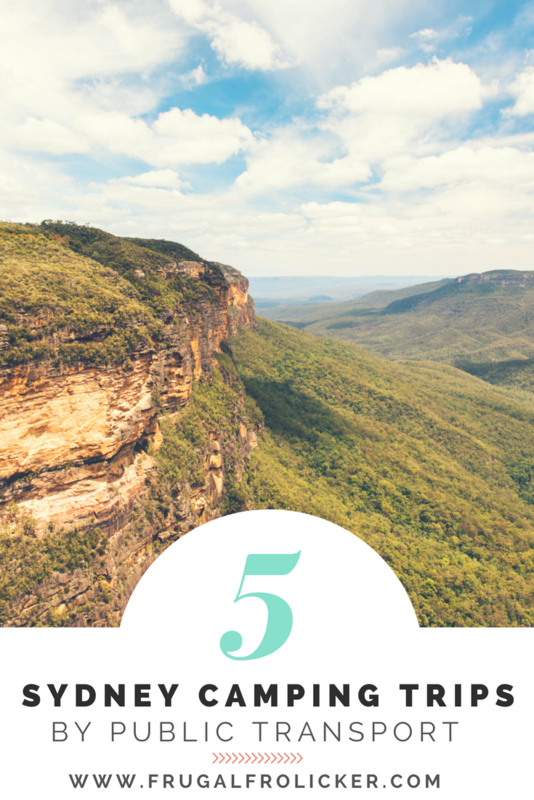 There are so many adventures to be had in the Blue Mountains region without a car. 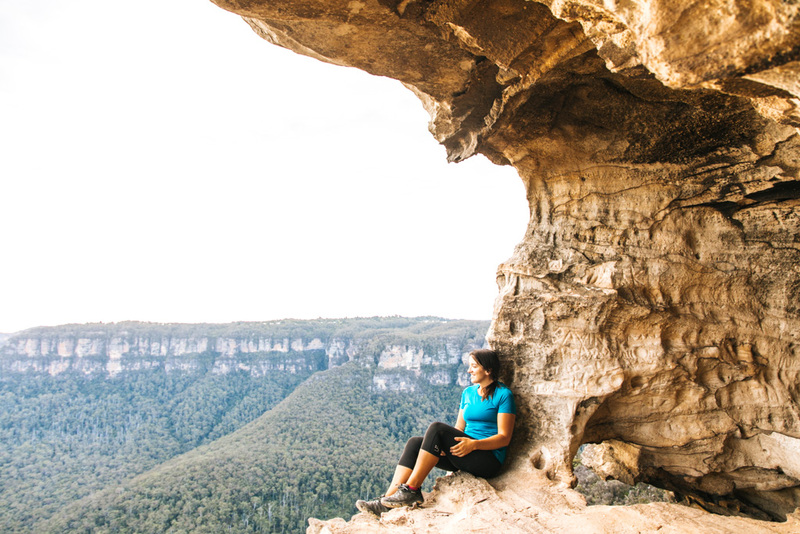 Hike the Valley of the Waters walking track or National Pass (close to Wentworth Falls station), check out the street art and the Three Sisters in Katoomba, or ogle the views from the Federal Pass walking trail (closest to Katoomba Station)… among others. READ MORE: A 4WD Adventure Around The Blue Mountains // Hiking The Grand Canyon in Australia’s Blue Mountains // The Katoomba Street Art Walk: A Delightful Surprise! 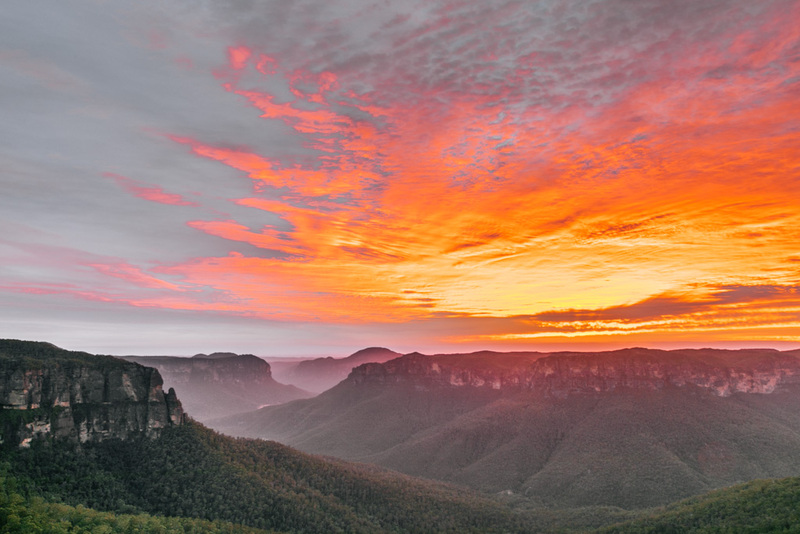 Sunrise at Govetts Leap, Blue Mountains. Getting to the Blue Mountains: Take the train to Katoomba, Leura, Mount Victoria, Wentworth Falls, Blackheath, or Glenbrook. Camping in the Blue Mountains: Blackheath Glen Tourist Park ($33/night for 2 people) is just 1km from Blackheath station and Katoomba Falls Tourist Park ($33/night for 2 people) is a 2km walk from Katoomba station. Both of these are caravan parks rather than bush camping spots, and as far as I know they’re really the only campgrounds that are easily accessible from train stations. There are also a few bush campsites that you can reach by car or on foot if you hike in with all your gear (e.g. Acacia Flat via the Blue Gum Forest walking track). The Blue Mountains YHA in Katoomba is centrally located and probably a better value choice for solo travelers than a caravan site. The world’s second-largest national park has enough natural attractions to keep visitors coming back for more – and thankfully, many of them are accessible without a car! Whether you’re up for an overnight coastal hike or prefer to set up camp by the water and just chill out there, the Royal’s got you covered. 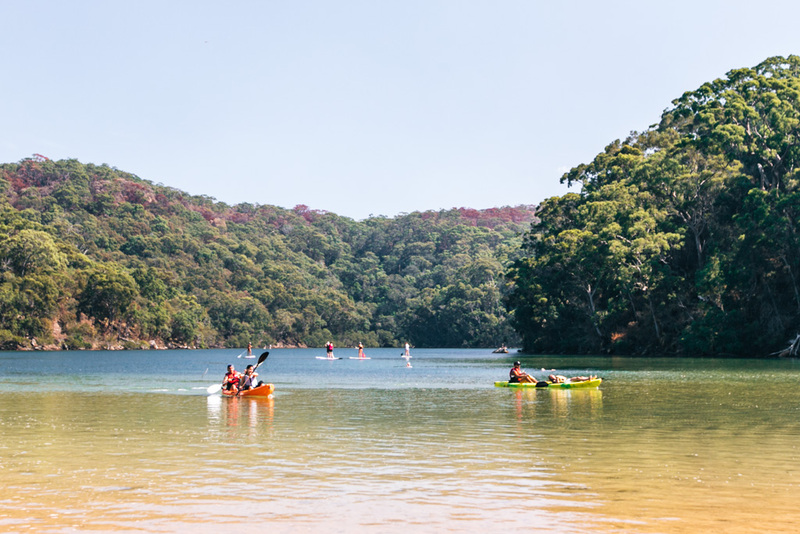 At the north end of the park, you can base yourself at Bonnie Vale and venture out onto nearby walking tracks, swim off the sand spit just next to the campground, or hire a kayak and paddle the Hacking River (Bundeena Kayaks rents them out for $20/hr on weekends). Bonnie Vale’s a great choice in terms of Royal National Park campsites because it’s the closest to Sydney and has flush toilets and hot showers (aka it’s convenient). If you prefer more remote bush camping, you may want to try one of the other campsites mentioned below. Getting there: From Sydney, take the train to Cronulla, then take the ferry across to Bundeena where you can set up camp at Bonnie Vale Campground. Camping at Bonnie Vale: Sites at Bonnie Vale Campground go for $33/night (I have in my notes that site 74 is the best one to book, but I’ve no idea why!). Keen to walk 27km with a heavy pack on your back? 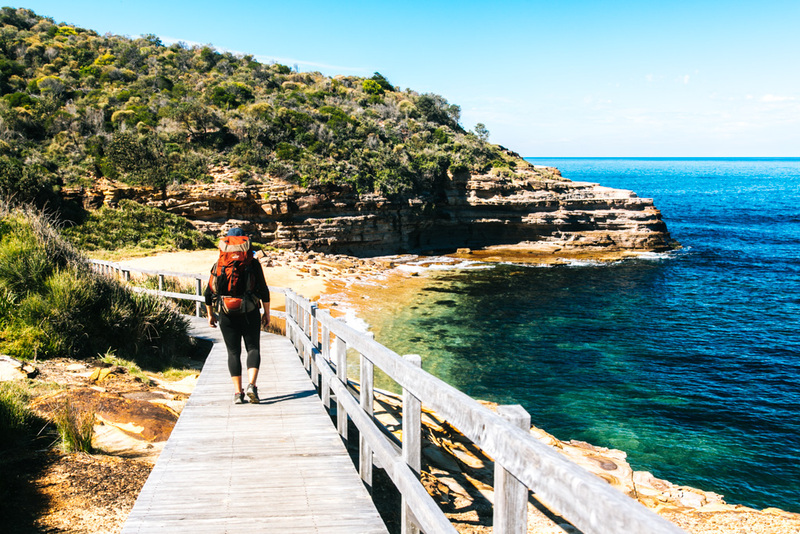 If the thought doesn’t faze you, you definitely need to experience the Royal National Park Coastal Track. Though it can be done as a very long day hike, it’s best savored over two days so you can take your time enjoying the sensational coastal views and swimming/relaxing at the beaches and pools along the way. I have so much love for this slice of coast! There are too many highlights to mention here, but favorites include Wattamolla, the Figure 8 Pool, and the view from the headland just north of North Era looking south. Garie Beach, Royal National Park. Getting there: From Sydney, take the train to Cronulla, then take the ferry across to Bundeena where you can walk to the start of the coastal track. At the end of the track, it’s a quick walk to Otford station where you can catch the train back to Sydney. 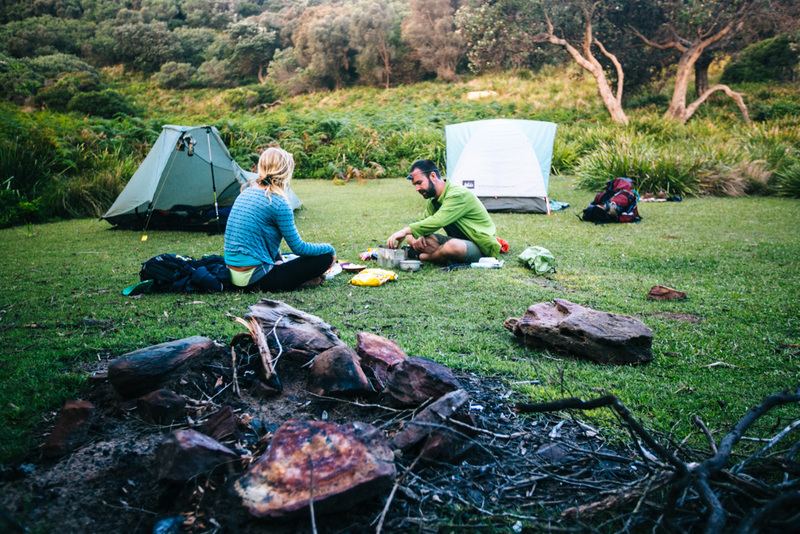 Camping on the Coastal Track: The only designated campsites are just past the halfway point on the coastal track at North Era and they fill up fast, so be sure to book early if you want to camp here. Sites are $12 per 3 people. You didn’t hear it from me, but there’s also an unofficial campsite a little earlier on, at the north end of Garie Beach. Camp here at your own risk! 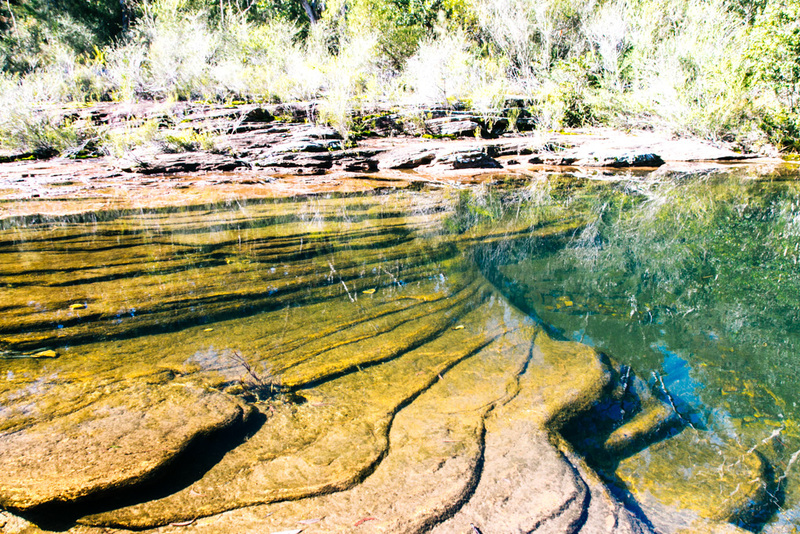 If you want to get a little more off the beaten path, head inland to the bush and hike amongst the trees to the beautiful Karloo Pools – this is a seriously ace swimming spot! On summer weekends you might find a modest crowd at the main pool, but all you have to do is walk along the creek away from it to find some other pools to claim for yourself. Uloola Falls is not too far from the Karloo Pools and is a very peaceful spot to pitch a tent. Getting to Uloola Falls: From Sydney, either take the train to Heathcote and hike in via the Karloo Track, or take the train to Waterfall and hike in via the Uloola Track. You can combine both by doing the full Heathcote to Waterfall track which is about 11.3km in total. Uloola Falls is somewhere in the middle of it. Camping at Uloola Falls: Campsites at Uloola Falls Campground cost $12/night for up to 3 people.